Timothy G. Baker - The Gualco Group, Inc.
Timothy G. Baker, D.D.S. is a Senior Advisor to The Gualco Group, Inc. and will provide political and policy counsel for the firm. Dr. Baker brings to The Gualco Group, Inc. over 30 years of experience in a wide range of local, state and national political activities. 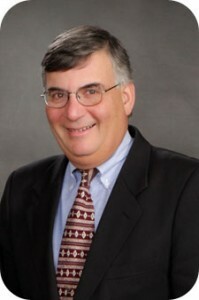 He has served as a finance director and consultant to numerous candidates and elected officials. He has also served in a broad spectrum of campaign management roles including campaign coordination, production and direction of political television advertising, and has an extensive background in creation and execution of precinct and mail targeting programs. Further, Dr. Baker has been a coordinator of numerous political fund raising events and has participated in past California reapportionment efforts. Dr. Baker is also a political consultant to major business interests and a practicing dentist in Fresno, California. He is a member of the American Dental Association, California Dental Association, the Fresno/Madera Dental Society and the San Joaquin Valley Health Consortium. Dr. Baker serves as a board member of the UCSF Dental School Board of Counselors. He received a BA degree in Zoology from the California State University at Fresno and a Doctorate of Dental Surgery from the University of Pacific in San Francisco. Upon graduation he served as a resident in general practice dentistry at Valley Medical Center in Fresno. Dr. Baker currently serves as the 6 County Dental Education Director for the University of California in San Francisco, headquartered in Fresno. A California lobbying and consulting firm with a century of combined advocacy experience.